Karyl Thomas Rattay, MD, MS, is the Director of the Delaware Division of Public Health. 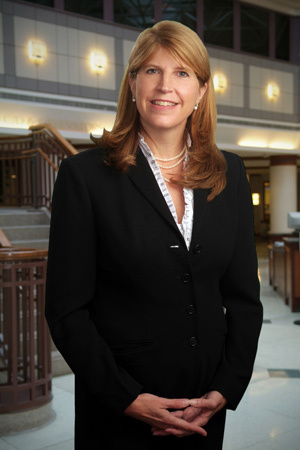 Rita M. Landgraf, Secretary of the Delaware Department of Health and Social Services, appointed Dr. Rattay on May 3, 2009. As DPH Director and Delaware’s State Health Officer, Dr. Rattay leads 630 employees. Dr. Rattay is board-certified in Pediatrics and Preventive Medicine. Prior to her appointment, she worked at Nemours Health & Prevention Services, where since 2004 she led it's childhood obesity initiative and efforts to prevent overweight in primary care settings. Dr. Rattay also provided weight management clinical care at the Alfred I. duPont Hospital for Children in Wilmington, Delaware. Between September 2001 and June 2004, Dr. Rattay served as a Senior Public Health Advisor to the Surgeon General and Assistant Secretary of Health in the Office of Disease Prevention and Health Promotion, Department of Health and Human Services (HHS) in Washington, D.C. She provided briefings, speeches and presentations and supported congressional testimony related to overweight and obesity, physical activity and nutrition, specifically in children. Dr. Rattay staffed the U.S. Department of Agriculture/HHS Dietary Guidelines Advisory Committee to revise the Dietary Guidelines for Americans. She had a leadership role on the President’s Healthier U.S. Initiative. As a board-certified pediatrician, Dr. Rattay has practiced pediatrics for nearly 14 years. She previously worked in private practice for five years. She has published multiple articles in the field of childhood obesity. She is an associate professor in the Department of Population, Family, and Reproductive Health at the Johns Hopkins Bloomberg School of Public Health. Dr. Rattay served as Initiative Chair of the Delaware Primary Care Initiative on Childhood Overweight, a Nemours quality improvement initiative. In 1992, Dr. Rattay earned a Medical Doctorate from the Medical University of Ohio and then completed her pediatric residency at Georgetown University and a preventive medicine residency at the University of Maryland. Dr. Rattay earned a master’s of science in epidemiology from the University of Maryland in 2001. She holds a bachelor of arts degree in zoology and pre-medicine, which she received in 1987 from Ohio Wesleyan University in Delaware, Ohio.